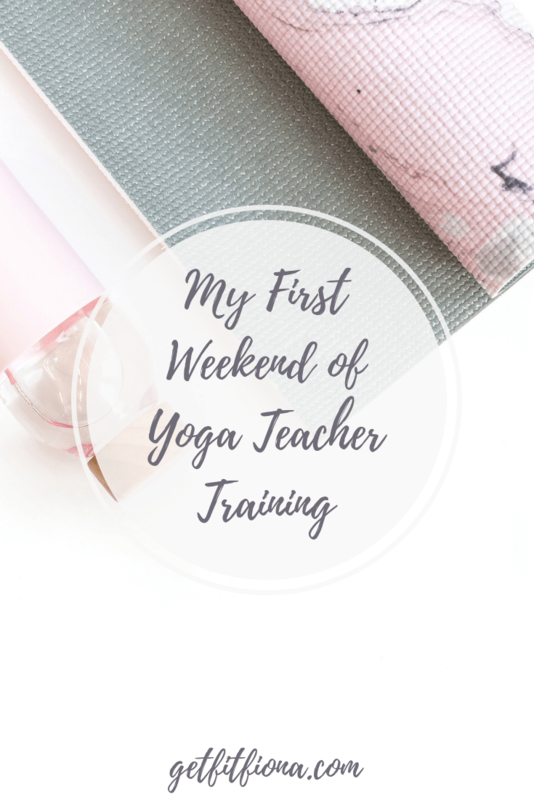 Today I’m sharing a recap of my first weekend of yoga teacher training. I’m so excited to officially be in yoga teacher training now! I completed my first weekend yesterday so I now have more of an idea of what to expect now. Friday night started where we got to meet the three teachers who will be leading our teacher training. I have a feeling I’m going to be learning a ton of them. We also introduced ourselves to each other. I’m really looking forward to getting to know my classmates. We’re all coming from our own unique backgrounds. We’re a diverse group, so I’m hoping that I can also learn a lot from them too. Obviously, there was a lot of yoga during yoga teacher training. We did a restorative practice Friday night, and did two practices each on Saturday and Friday. On Sunday afternoon we focused on sun salutations – which if you’ve been to yoga is done in a lot of classes. It’s easy to get into a rhythm and not even think about them. We broke the sun salutations down and really focused on each part of them. As far as anatomy, we covered the hands and feet. I thought it was appropriate, considering that they’re literally the base of our practice in yoga. We also talked about how each person’s anatomy is unique to them, and as a result, poses may look slightly different. While I knew that it was going to be a very full weekend, I was surprised at how tired I was by the time I got home on Sunday. Packing 15 hours of training into one weekend is a lot. I have about a 45 minute commute each way to the studio as well. I’m very grateful that we’ll have a free weekend between each teacher training so I’ll have a bit of down time. 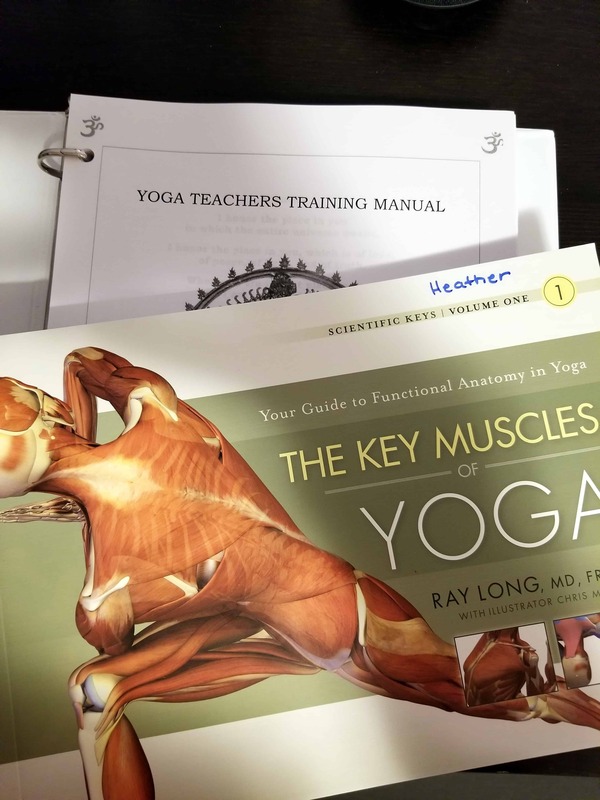 Have you done yoga teacher training? Have any advice for me?